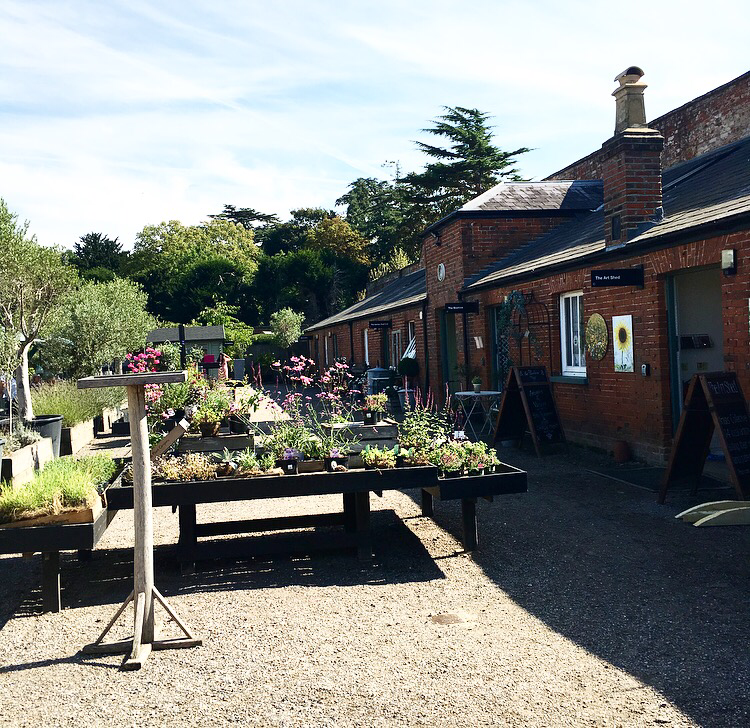 The other week my parents, Harvey and I went to explore the medicine Garden in Cobham, Surrey. 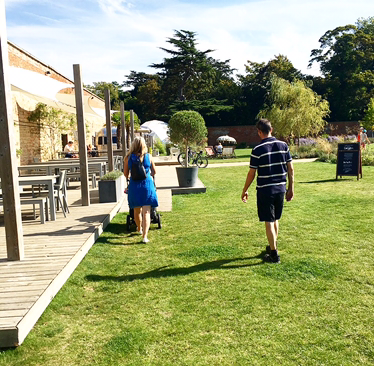 We wondered about the garden, drunk coffee at The Garden Pod and lunched at the The Hothouse Cafe. We had a great day and even got lucky with the amazing weather! 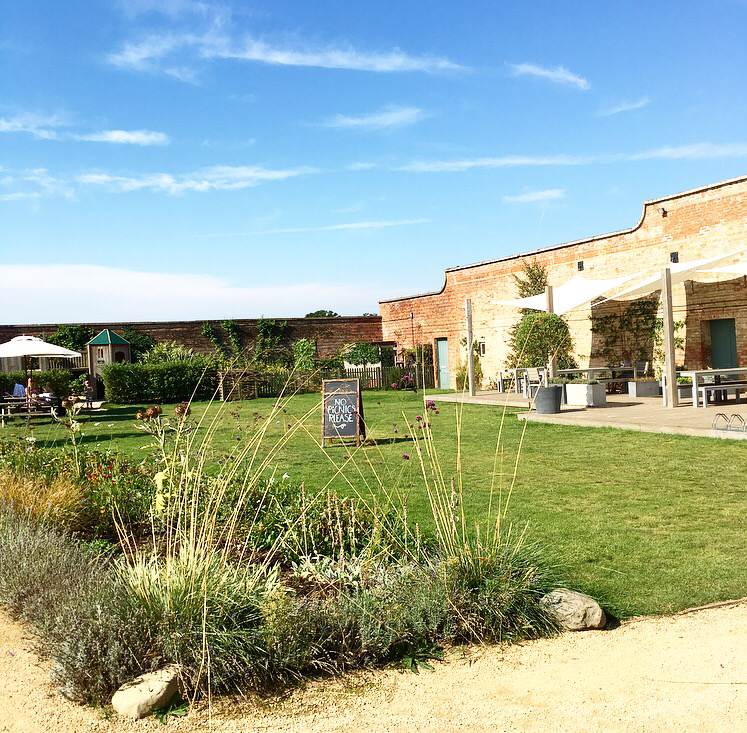 The Medicine Garden is a multi tasking green oasis set inside grand Victorian walls with a small courtyard of bespoke shops and eateries. Within the walls you can eat, drink, relax, be entertained or pampered, shop, workout, play (if your a child) or even learn a new skill. 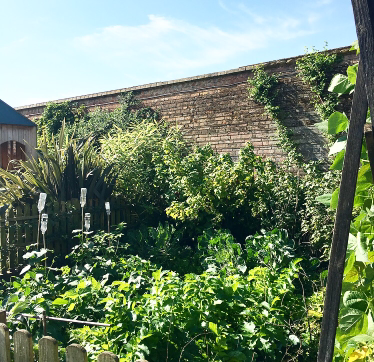 The garden embodies a fantastic mixture of the ancient and modern with beautiful plants and flowers and an exciting community of small bussinessess. 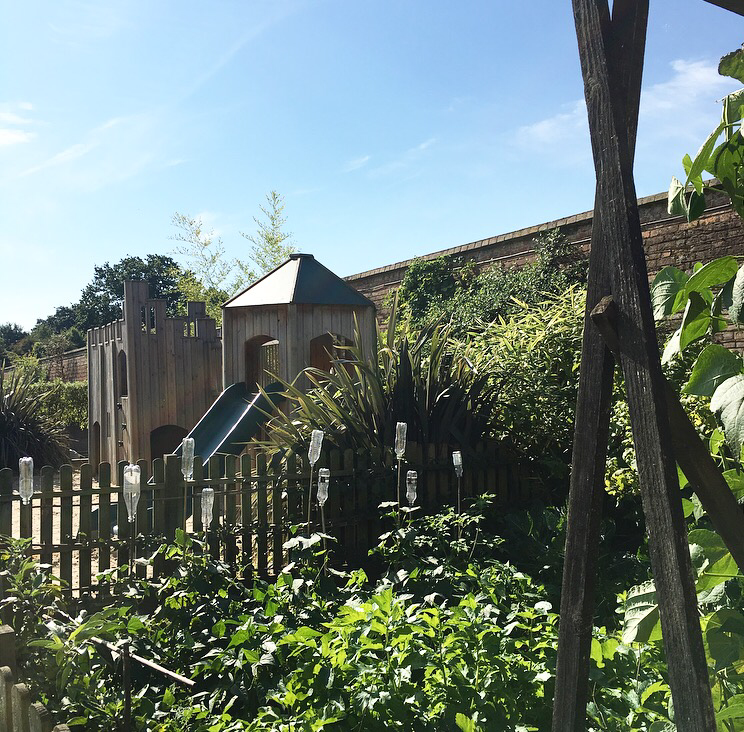 Once upon a time the gardens belonged to Cobham Park and were known for growing a variety of fruit. 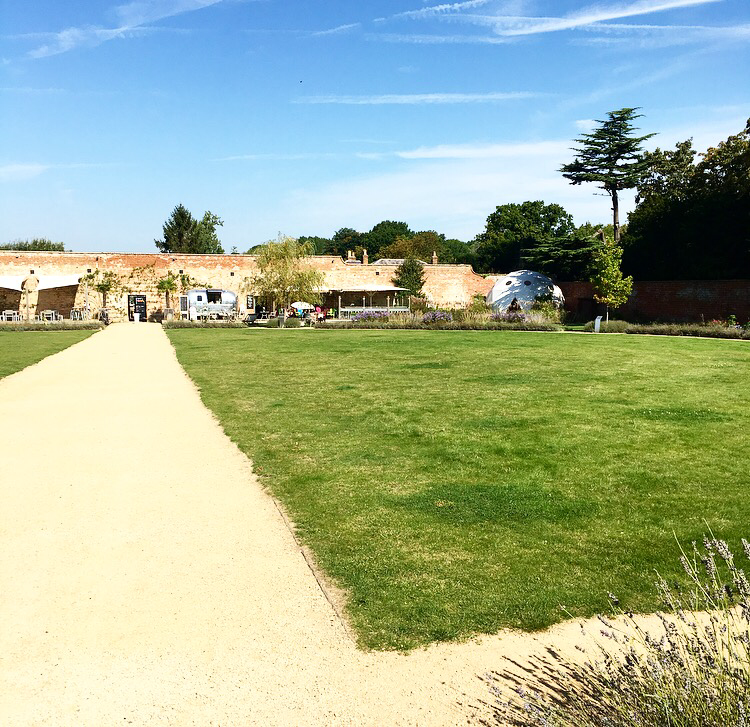 Today much of the one hectar site is well preserved and showcases lots of the historical features including the glass house, gardeners house and walls. 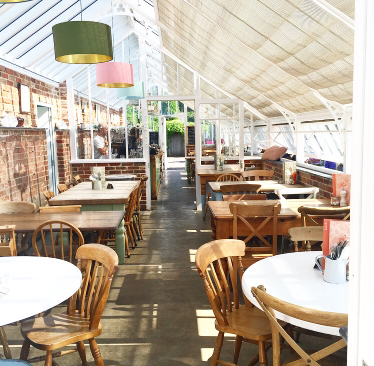 Based in the old potting shed… enjoy coffee (and cake 🍰) at The Garden Pod! 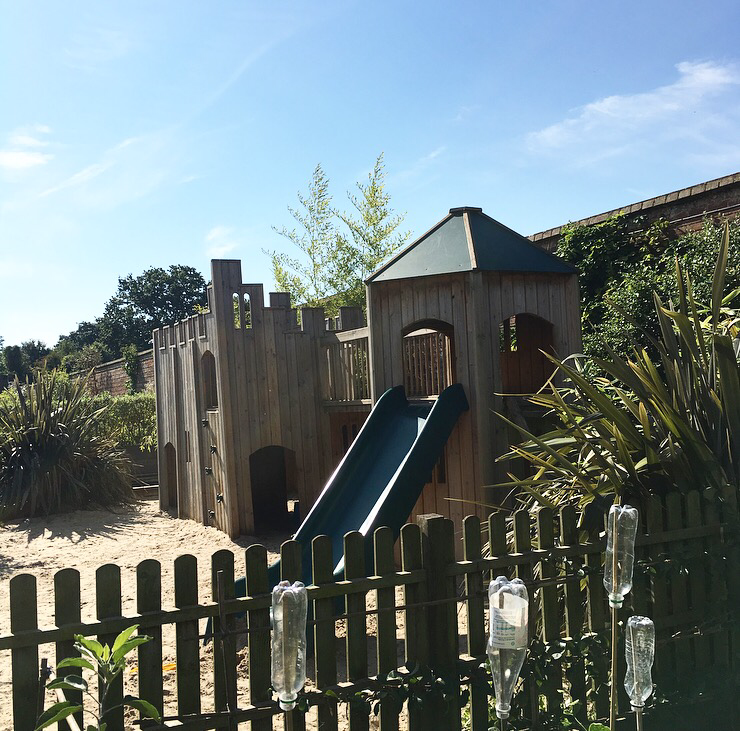 Then wonder around the beautiful grounds and take the children to play in the sandy castle (don’t forget your bucket and spade to keep them entertained for longer). 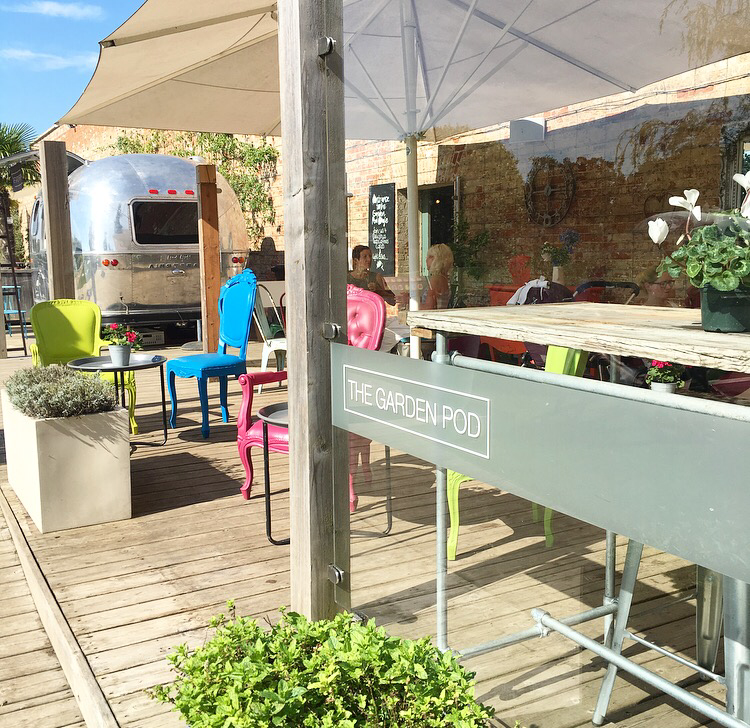 For a casual dining option get your coffee and sandwiches from The Garden Pod and they will even loan you a picnic blanket for you and the children to dine on! Of if you prefer you can relax and recline on the double deck chairs and Baroque sofa! 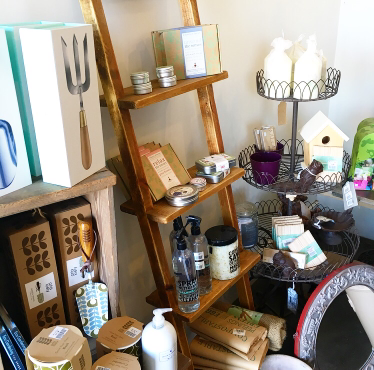 If you prefer a slightly more formal eating experience visit The Hothouse Cafe for an amazing array of food, where much of the menu is made from locally sourced goods. 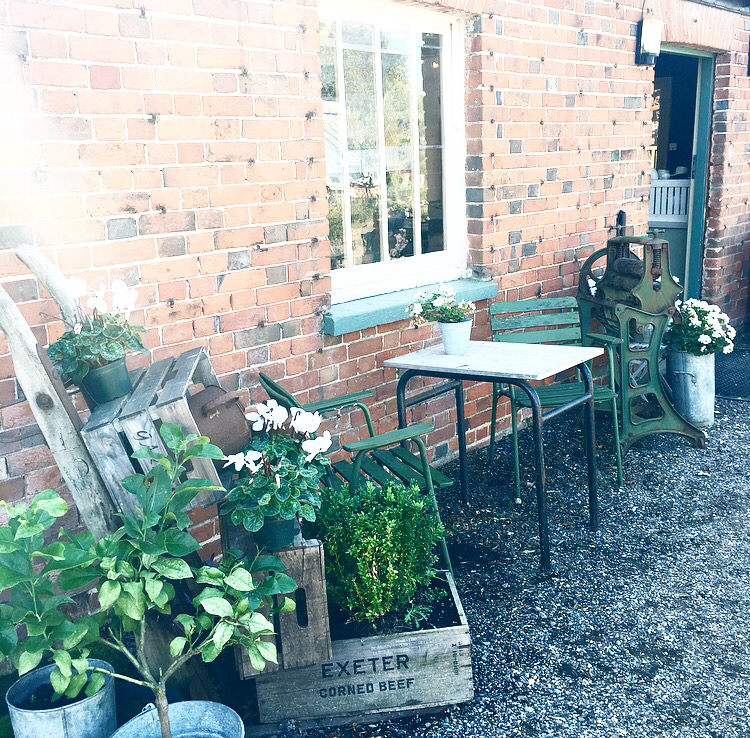 They serve breakfast, lunch and afternoon tea, but don’t forget to book in advance this place can get very busy and the outside tables can be hard to come by on a sunny day. Wonder the shops botique shops- The Art House, The Beehive, The White Orchid Flower Shop and The Pineapple Store. 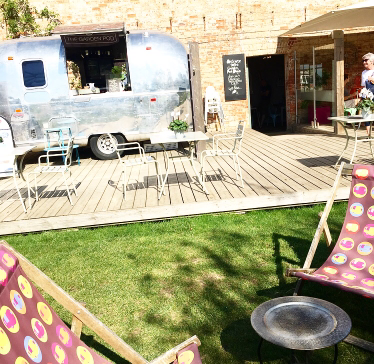 Drop into the Blid and Hatton Gathering and find out about their cookery workshops, pop-up events and private dining options. 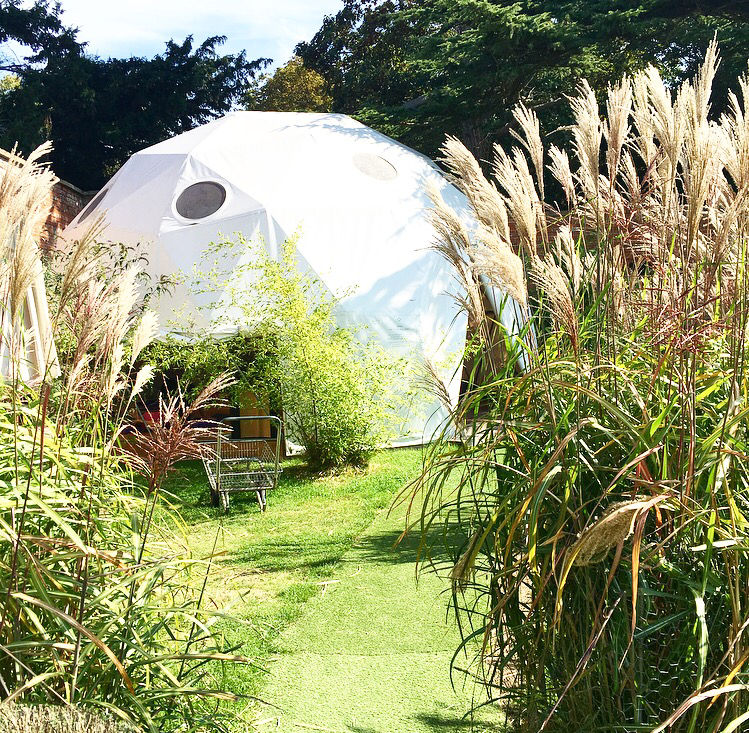 Discover the gardens wellbeing ideologies, learn about the The Good Medicine Wheel, visit the treatment rooms for some pampering, enroll on bootcamp or take part in some Yoga, Pilates or Tai Chi in The Dome! I’m already arranging to return with my NCT girls and their babies. 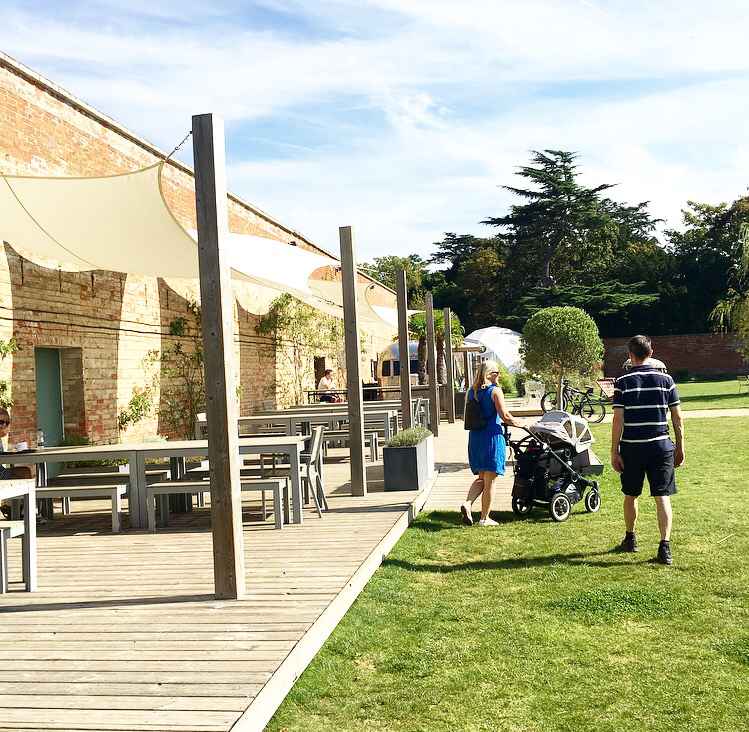 The grounds are very buggy friendly, although the petit shops aren’t very suitable for little ones with little hands or giant buggies, so go with your friends and rotate who shops when. 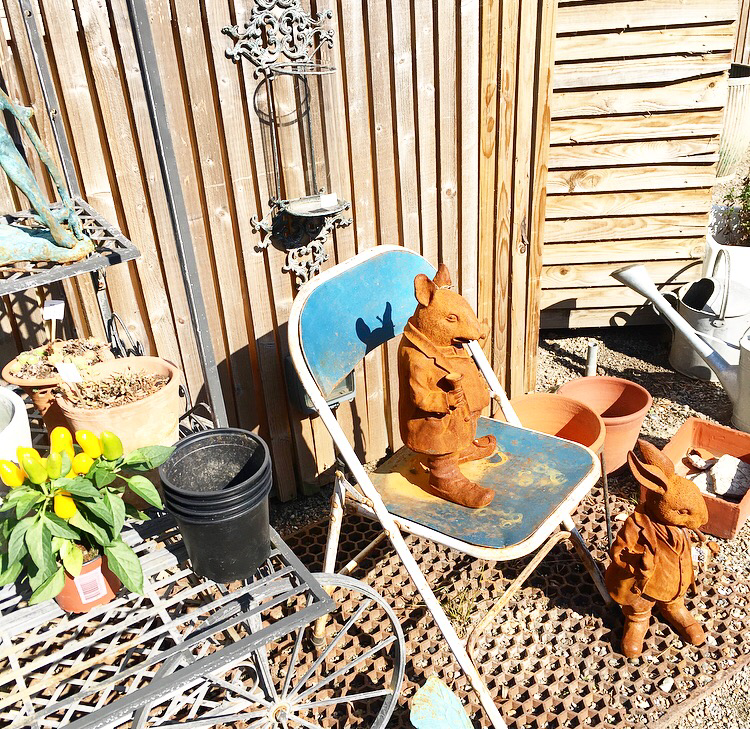 This entry was posted in Lifestyle, Surrey and tagged Harvey, Lifestyle by therusticmother. Bookmark the permalink.